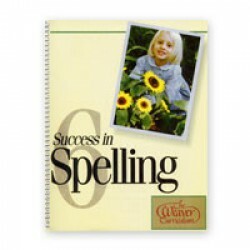 Weaver Success in Spelling Level 6 is more than a spelling program. With 1,200 vocabulary words, this program should be called Success in Vocabulary! Level 6 concentrates on pronunciation, diacritical markings, and the meaning of vocabulary words. Daily instructions are included to give you the teacher success as well.